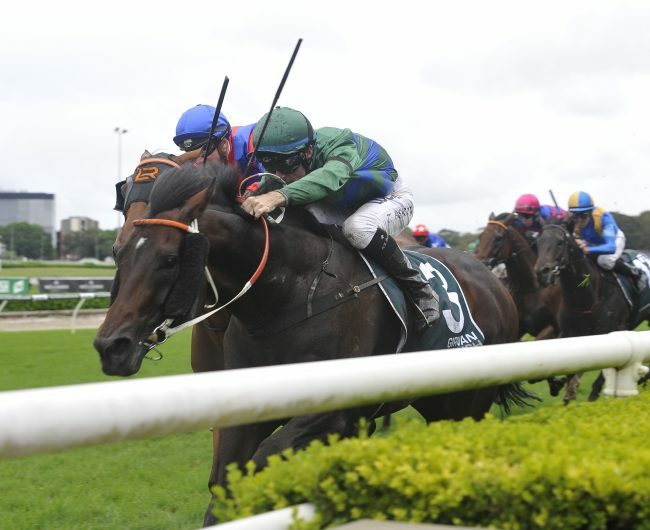 Bluebloods » So You Think a classic outcross for the Danehill line? THE expression about a tough act to follow might have been applied double to High Chaparral (IRE), who retired to stud at Coolmore on the heels of superstars Montjeu (IRE) and Galileo (IRE). Those two were almost certainly the best sons of Sadler’s Wells, also sire of High Chaparral, as runners and subsequently the outstanding sire sons of that horse. If not generally regarded as being at quite the same level as Montjeu and Galileo, it has to be conceded that High Chaparral’s race record was pretty spectacular in its own right. After finishing second on debut at two, High Chaparral won 10 of his next 12 starts, including the Racing Post Trophy-Gr.1 at two; the English and Irish Derbys (both Gr.1) and Breeders’ Cup Turf-Gr.1 at three; and the Irish Champion Stakes-Gr.1 and Breeders’ Cup Turf-Gr.1 at four. His only defeats after his juvenile season came with two thirds in the Prix de l’Arc de Triomphe-Gr.1, which his rider suggested might be attributed to High Chaparral preferring left-handed turns. Before his early death at the age of only 15, High Chaparral (ex Kasora by Darshaan) sired 57 northern hemisphere stakes winners. Thirty of these won Group or Graded stakes, nine of them Gr.1. Among the best of these were European high weight Toronado, whose victories included the Queen Anne Stakes-Gr.1 and Sussex Stakes-Gr.1; Contributer, who did his best work in Australia, where he took ATC Ranvet Stakes-Gr.1 and ATC Chipping Norton Stakes; another import, Rekindling, hero of the Melbourne Cup-Gr.1; Wigmore Hall and Redwood, who between them captured three renewals of Canada’s Northern Dancer Turf Stakes-Gr.1; the Prince of Wales’s Stakes-Gr.1 captor Free Eagle; Lucky Lion, Champion Three Year-Old in Germany; and Wrote, successful in the Breeders’ Cup Juvenile Turf Stakes-Gr.1. High Chaparral also shuttled, firstly to Windsor Park Stud in New Zealand, and from 2010 to Coolmore Stud, Jerrys Plains, NSW. His southern hemisphere crops have supplied a similar number of stakes winners (56), and Group winners (39), to his northern, but the southern has outstripped the northern in terms of the highest quality with 12 Gr.1 winners. That group features some stellar performers, among them So You Think, not only Champion Three Year-Old Colt in Australia, but an outstanding international performer with 10 Gr.1 wins to his credit in Australia and Europe; Dundeel, a champion in New Zealand and Australia; Shoot Out, champion stayer in Australia; Descarado, successful in the MRC Caulfield Cup-Gr.1 and Caulfield Stakes; as well as Aces High, Monaco Consul, Tivaci, Fenway, Charmont, Pondarosa Miss, Montoya’s Secret and Hiyaam. It appears that High Chaparral is also going to have a good chance to make an impact as a sire of sires in the southern hemisphere, with (among others) So You Think and Dundeel in Australia, and Tivaci in New Zealand, with Toronado (IRE) and Free Eagle (IRE) shuttling. The first of those with runners, So You Think (NZ) (ex Triassic by Tights (USA)), whose second crop are three, was making a steady start until he simply exploded the weekend before Easter with D’Argento taking the ATC Rosehill Guineas-Gr.1, The Pinnacle winning the ATC Epona Stakes-Gr.3 and Think Bleue capturing the MVRC Alexandra Stakes-Gr.3. In addition to his class, underlined by those 10 Gr.1 victories mentioned above, So You Think was a notably versatile and durable runner. In Australia, he was able to win a Group race at as short as 1400m, taking the MRC Memsie Stakes-Gr.2, but was also an excellent third in the VRC Melbourne Cup-Gr.1 (3200m) at more than twice that distance. In between those extremes, he also took the STC Gloaming Stakes-Gr.3 and MRC Underwood Stakes-Gr.1 at 1800m, the VRC L.K.S. McKinnon Stakes-Gr.1 and Yalumba Stakes-Gr.1 at 2000m, and back-to-back renewals of the MVRC W.S. Cox Plate-Gr.1 at 2040m. Racing in Europe at five and six (to northern hemisphere time), So You Think added another six Group victories, all at 10-10.5 furlongs (2000-2100m), including back-to-back renewals of the Tattersalls Gold Cup-Gr.1, by 4.5 lengths and six lengths; the Eclipse Stakes-Gr.1, over European Champion Workforce, hero of the Epsom Derby-Gr.1 and Prix de l’Arc de Triomphe-Gr.1; the Irish Champion Stakes-Gr.1, over Snow Fairy, a Gr.1 winner in four different countries; and Prince of Wales Stakes-Gr.1 at Royal Ascot. to Runs Riot (dam of the Dunedin Gold Cup-Gr.3 winner Red Card, and second dam of black-type winner Super Revenir). The fourth dam, Philipolo, is half-sister to the dam of the Oakleigh Plate-Gr.1 winner Turf Ruler. Philipolo is out of Philadelphia, is a half-sister to Queensland Oaks winner Winnipeg. So You Think already has a quartet of Gr.1 winners from his first two crops in D’Argento; Inference, successful in the ATC Randwick Guineas-Gr.1; La Bella Diosa, successful in CJC New Zealand 1000 Guineas-Gr.1 and ATC Surround Stakes-Gr.2; and Sopressa, who took the SAJC Schweppes Oaks-Gr.1. D’Argento and Inference are two of the 10 runners by So You Think out of mares by Redoute’s Choice. In addition to giving a version of the Sadler’s Wells/Danehill cross, Redoute’s Choice doubles Nijinsky II, who appears through Tights and through Redoute’s Choice’s second dam Dancing Show. Pontiana, the dam of Inference has another cross of Nijinsky II, as her second dam, Liberty Rose, is by Royal Academy (which means she’s bred similarly to Fastnet Rock). In addition, Dancing Show and Liberty Rose, whose dam is by Sir Tristram, are both Nijinsky II/Sir Ivor crosses. Somewhat similarly, Inference goes back to a mare by Bluebird, who is by Nijinsky II’s relative Storm Bird out of a Sir Ivor mare. Out of mares by Redoute’s Choice’s sire, Danehill, So You Think has 17 starters, and they include the previously mentioned Group winner The Pinnacle and three-time black-type scorer Northwest Passage. The Pinnacle has a second dam by Shirley Heights, so her dam echoes the Northern Dancer/Shirley Heights cross that produced High Chaparral (out of a Darshaan mare). Northwest Passage has a second dam by Machiavellian, and her third dam is by Shirley Height’s sire, Mill Reef. as High Chaparral’s Gr.1 winner, Descarado. of Nureyev line mares, including the Gr.1-winning Wigmore Hall. Higher Ground is out of Dark Vision, a daughter of Encosta de Lago, who is by Fairy King, a brother to Sadler’s Wells. 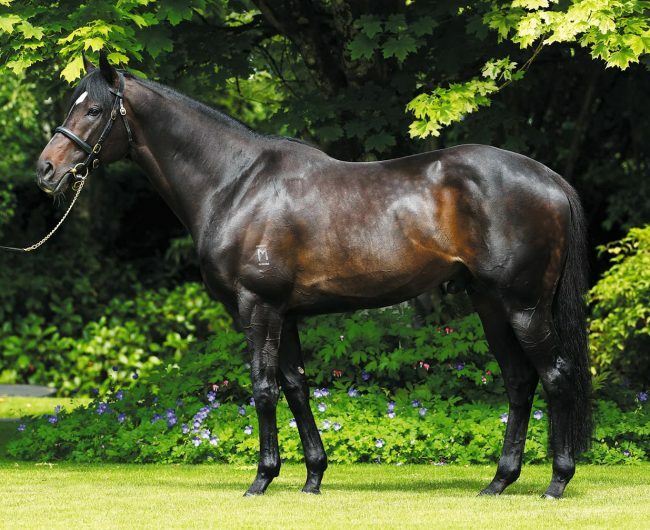 High Chaparral set the trend for the cross as he has three stakes winners, two Group, out of Encosta de Lago mares. So You Think’s first crop stakes winner Care To Think, successful in the GCTC Magic Millions Cup, is out of a mare by Hussonet, so bred on a cross with Mr. Prospector line mares. High Chaparral did very well with mares from this line, including Gr.1 winners Redwood, Toronado and Montoya’s Secret, from daughters of Woodman, Grand Slam and Thunder Gulch, and he’s also been successful with the Seeking the Gold, Kingmambo and Machiavellian (sire of Street Cry) branches, all of which have been represented in Australia. Finally, So You Think has the second crop stakes winning filly, Global Thinking, out of a mare by General Nediym. Her second dam is by Spinning World, a son of Nureyev, and her third dam by Kaapstad, by Sir Tristram, both strains that we’ve mentioned above working with So You Think. General Nediym also appears as broodmare sire of the ATC Schweppervescence Handicap-Gr.3 scorer Irukandji, a two year-old from the first crop of the second major High Chaparral with runners Dundeel (NZ).